In nature, the distinctive markings found of creatures large and small have a variety of uses, including acting as a warning to potential predators that snacking may be dangerous. So effective are some of these patterns, that certain creatures actually evolve to mimic the markings of others, often with the intention of causing confusion to their enemies. In the human marketing world, mimicking another company’s markings (i.e., its logo) can certainly cause confusion — and for more than your enemies. Similar company logos can sometimes cause consumer confusion, as well. Take Credit One and Capital One’s swoosh-inspired designs, for example. But although these credit card issuers have similar logos, each has made its own distinct credit card contributions. Capital One may be the bigger name, but Credit One has also risen to become one of the largest credit card issuers in the US. 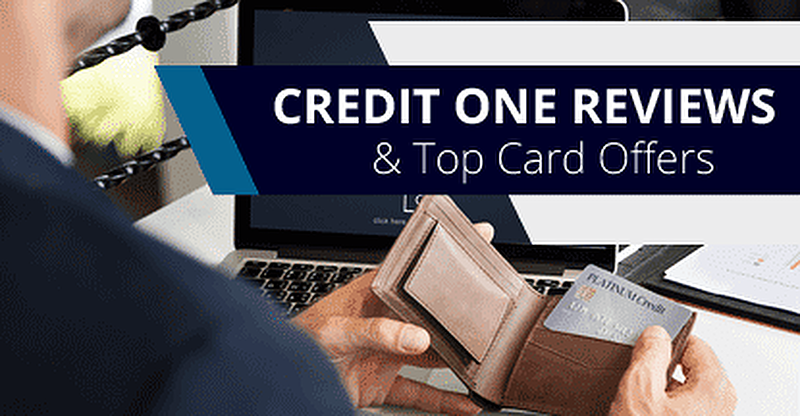 At a glance, the Credit One line of credit cards are all similar to a variety of other basic rewards cards. Qualifying applicants can receive 1% cash back on eligible purchases, and rebuild their credit scores while they earn. The caveat here, however, is the “qualifying” part. While it may seem that Credit One has just a handful of cards, each card offered by the bank has a number of variations that depend on your creditworthiness. For example, the bank offers six different cash back rewards programs between three cards If your credit is good, you may qualify for 1% cash back on all eligible purchases. For others, cash back may be limited to purchases in specific categories, like gas and groceries. And “no rewards” is also an option. You won’t know which program you qualify for until you fill out the pre-qualification form, which is the first stage of the Credit One application process. In addition to your rewards varying with your credit score, so, too, will the size of your interest rate and annual fee. Interest rates range widely, running from 20.24%-26.24% Variable, and they vary with the Prime Rate. The most qualified applicants may be offered a Credit One card with no annual fee, but applicants at the other end of the credit score range may need to pay an annual fee of up to $99. After the first year, the fee is broken into 12 monthly payments made throughout the year. Check your individual cardholder agreement for exact terms. Whether your card comes with a new purchase grace period will also vary by card offer. The grace period is the time spanning from when a purchase is posted to when that bill is due, and most credit cards will not charge you interest if you pay off all of your purchases before the end of the grace period (i.e., your billing due date). Credit One cards without a grace period will start charging interest as soon as your purchase posts. Because there is so much variation in the bank’s offerings, the quality of your Credit One credit card will depend entirely on which offer you get. If you’re one of the well-qualified applicants who obtain a card with no annual fee that can earn rewards on anything, then you may have found a solid credit-building rewards card. For other applicants, the potentially high fees and lack of a grace period may be a deal breaker. As you might expect with from a credit card issuer with so many variations to its cards, the reviews on Credit One from across the web are also a mixed bag. Some users are content with their choice of credit-building cards, with particular emphasis being placed on how quickly some cardholders received credit limit increases. Making matters more frustrating for many, reviewers indicated that mailing payments aren’t always a sure bet, either, even when sent well before the due date. So, as with the actual card you get from Credit One bank, the experience you have with the company’s customer service and billing systems may also vary widely. For those who don’t run into these common problems, the card seems to be a solid way to build credit and earn rewards. For everyone else, it may not be the best option. Given the variations in offers from Credit One, your credit score may not qualify you for a card with low rates, a grace period, or rewards. In this case, your best bet for a quality credit-building card may be to explore other credit card options for bad credit. With a little research, you can likely find a wide variety of credit cards with flexible credit requirements, including some that charge no annual fee regardless of your score. Your main options with poor credit will be store cards — which are often restricted to store-branded purchases — secured credit cards (which require a deposit), or unsecured subprime cards, which may charge higher fees. You can compare your options to find the best card for you, starting with our expert-rated picks. While we’re not supposed to judge something solely on its appearance, we do anyway. While this can be a positive trait in nature — it helps some species avoid predators by mimicking a more dangerous species — it can lead to significant confusion in the consumer world. For the record, despite similarities in their respective logos, Credit One and Capital One are not the same company. If you are trying to apply for one and not the other, read your application carefully to avoid confusion.